RealVNC remote access software has dramatically improved the speed and quality of the support we offer. 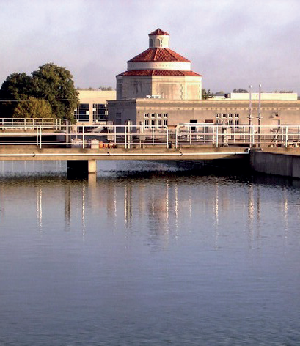 The Department of Utilities at the City of Sacramento, California serves a community of 480,000 and is responsible for the upkeep of its reservoirs, wells, pump stations and water treatment plants. RealVNC remote access software was chosen so that the City’s industrial control network could be remotely monitored and administered by the department’s IT team. 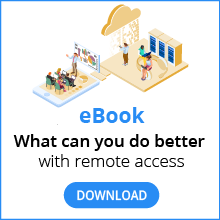 The IT team no longer need to travel to the plant to resolve issues, enabling IT technicians to offer plant managers an improved level of support. The IT team within the Department of Utilities needed an effective way of supporting servers and nodes across the City of Sacramento’s water production, drainage and sewage facilities. The solution had to speed up support offered to the plant managers by reducing the expensive and time consuming travel required to investigate problems when they arose. After using trial versions of the technology, the IT team made the decision to invest in the RealVNC remote access software and are thrilled with the result. The commercial grade solution provides the IT team with robust security features and administrator rights to ensure that only the approved personnel are able to access the City’s industrial control networks. Previously, unintentional tampering was causing remote access connections to be lost, greatly impeding support efforts. Having implemented the RealVNC software to remotely administer dispersed systems, the IT team have been able to reduce expensive and time consuming travel to the sites; instead they can support plant managers more efficiently remotely. Previously call outs would take up to two days to respond to, now the IT team can respond immediately resulting in decreased system downtime and happier plant managers. The RealVNC software is also proving invaluable during the City’s storm season, where high rainfall frequently results in widespread flooding. The IT technicians are no longer required to take dangerous journeys through flood water in order to access a problem server. The premium features of RealVNC® software, alongside its competitive pricing and clear licensing structure make it an indispensable tool for the day to day running of the department and its many sites across the City.